One Piece Chapter 931 Spoilers, Release Date and Raw Scans: Katakuri Finally Appears? Big Mom Kills King? One Piece chapter 931 has become one of the most anticipated chapters of the Wano Country Act 2. So far, we have seen a lot of interesting stuff in this arc already. The last segment (#930) seemed to be the best of it till date. As you know, the Big Mom Pirates have been successful in making their way inside the Wano Country. Kaidou failed to restrict them from entering the country. BMP deflected everything which Kaidou threw at them. At last, the King showed up in his Pteranondon form to know them out of the air. The ship couldn’t take the attack and fell down the waterfall and the Big Mom appeared to be sinking in the ocean. Also, we got to see Page One ruining Flower Capital while he was searching for Sangoro. Sangoro stopped him when he was flying in the air. Law had told him to keep a check on his power and not use them until he assures that he will win 100% without a scratch. As of now, Sanji is gearing up to use his new Raid Suit, which he received from his family. Soon, he will be seen using it in the upcoming battle. In chapter 931 of One Piece, we hope that we will get to witness the battle between Sanji and Page One first. 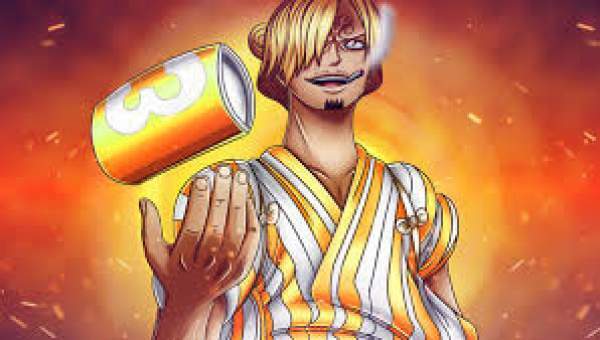 Using his new suit, Sanji will transform into his new form. After that, he will be seeing using his powers against Page One. Probably, next week, we will get to witness the powers of Raid Suit. We already know that it is very powerful and can boost one’s powers several times. With it, Sanji should finish off Page One in no time. But, story has to be built to continue. So, something wrong will go down in the manga or something/someone will interrupt. We would be getting a glimpse of Whole Cake Island in the upcoming chapter, and maybe we would get to see Katakuri there? If not, we may get to see Big Mom Pirates washing up on some shore, and it will become interesting to see how it unfolds. There may be some stuff coming up related to Orochi and the banquet. It will also be interesting to see. Zoro has got busy for now. Ebisu Town won’t be relevant to the story for coming some time. The release date of One Piece 931 is 4th February 2019. However, the scans will be released by February 1, 2019.